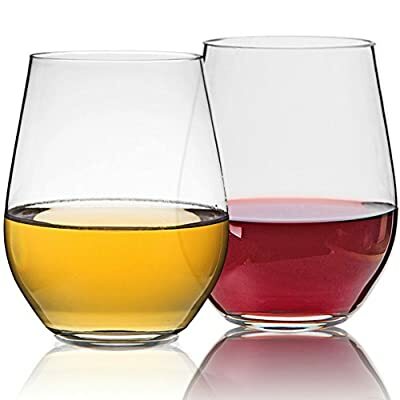 Stemless plastic wine glasses are the rage these days and our stemless drinkware collection includes the best dishwasher-safe and disposable brands on the market. For everyday use, choose durable, unbreakable and dishwasher-safe options by Osteria, Cruvina or Wine Tools, to name just a few. For events, look for the disposable stemless wine glasses by GoVino, TossWare, WNA and Chinet. Whatever your need, our stemless selection lets you enjoy your favorite vintage anywhere without the worry of breakage — at home, while camping, for picnics or parties, weddings, wine tastings… or just relaxing by the pool.